If you answer to that question is something along the lines of "umm..." accompanied by nervous sweating, you're probably not using a VPN service. Let's change that. Get a lifetime subscription to SaferVPN Basic at Escapist Deals for $49. When you're using a VPN, you don't have to wonder whether your online activity and personal data are getting into the wrong hands. SaferVPN relies on the highest levels of encryption to protect everything you do online-that means browsing activity, passwords, bank details, and more. Plus, with 400 anonymous servers in 30 countries, you can also use SaferVPN to access your favorite sites and streaming services even in locations with geo-restrictions. Don't guess whether your private information is safe-know that it is. 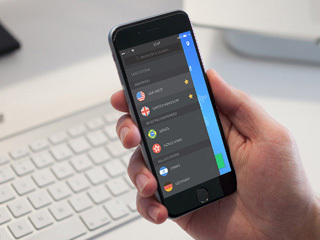 Get a lifetime subscription to SaferVPN Basic at Escapist Deals for $49.